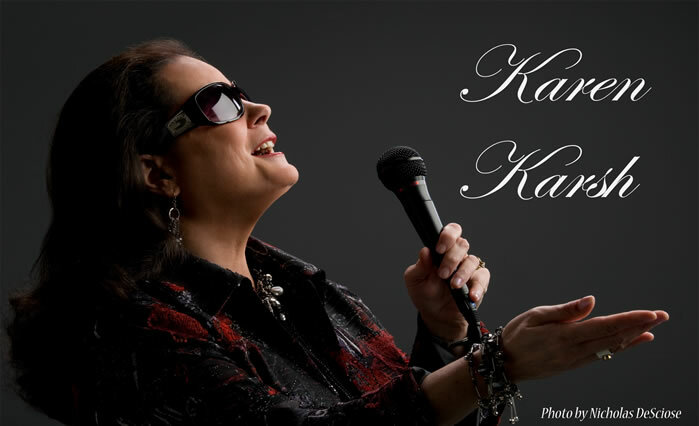 Karen spoke and performed for the Brain Injury Employement Conference. You can see part of that performance here. 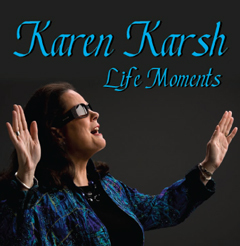 Karen presents her newest CD, "Life Moments," available now. Karen combines her newest work with old favorites. Click to sample! She has sung professionally since age 15. As an adult, she has become a thinking person's singer-songwriter. "I write from my soul," explains Karen. She has performed with the Colorado Symphony Orchestra and recorded for ABC Dunhill Records. In 1992 she was awarded Gannett Broadcasting's, "Innovation of the Year" for her television feature, "Unsung Heroes." Her songs have a positive message and she says she likes her audiences to leave her performances feeling, "like we all have a place in the world and that if we let love lead the way, we'll make it a better place to live." Karen talks about old times and new ambitions as well as putting her career on hold to raise a son. Click to listen!